Introduction: Sudden cardiac arrest (SCA) causes up to 5000 deaths each year in Ireland. 70% of cardiac arrests in Ireland occur out of hospital. Global incidence of out-of-hospital SCA ranges from 20-140/100000 people, and survival ranges from 2%-11%. The large increase in Automated External Defibrillator (AED) distribution and availability has led to an increasing interest into layperson recognition of and response to SCA. Objectives: The purpose of this paper is to systematically review previously conducted studies relating to knowledge, understanding and attitudes among laypersons in relation to the use of an AED in the event of a SCA. This review aims to assess and critically appraise the existing literature relating to this topic on a global level in order to identify future research directions with an aim to improving layperson recognition of and response to SCA. Methods: Studies were identified through an electronic database search in combination with expert recommendation. A three-step selection process was applied to determine applicability to this review. Knowledge and understanding of the concept of an AED. Willingness to use an AED in the event of a SCA. Reasons for unwillingness to use an AED in the event of a SCA. Results were compiled and discussed. Conclusion: There is a paucity of literature relating to layperson understanding of AED function and use. The evidence suggests only a minority of laypersons would be confident or willing to use an AED in the event of a nearby SCA. The extent to which an educational intervention could impact upon layperson understanding and confidence in use of an AED is poorly understood at present. Keywords: AED; layperson; public; understanding; attitudes; knowledge; awareness. 1. Mann DL, Zipes DP, Libby P, Bonow RO. Braunwald's heart disease: a textbook of cardiovascular medicine: Elsevier Health Sciences; 2014. 2. Irish-Heart-Foundation. Mortality from cardiovascular disease (CVD) i.e. from coronary heart disease, stroke and other diseases of the circulation in 2006. . Accessed from Central Statistics Office 2007. 2007. 3. Berdowski J, Berg RA, Tijssen JG, Koster RW. Global incidences of out-of-hospital cardiac arrest and survival rates: systematic review of 67 prospective studies. Resuscitation. 2010;81(11):1479-87. 4. Gallagher EJ, Lombardi G, Gennis P. Effectiveness of bystander cardiopulmonary resuscitation and survival following out-of-hospital cardiac arrest. Jama. 1995;274(24):1922-5. 5. Drezner JA, Toresdahl BG, Rao AL, Huszti E, Harmon KG. Outcomes from sudden cardiac arrest in US high schools: a 2-year prospective study from the National Registry for AED Use in Sports. British journal of sports medicine. 2013;47(18):1179-83. 6. R Margey LB, E Murphy CB, B Doyle, J Galvin, T Keelan, N, Mahon GB, H Mc Cann, D Sugrue. Survival to Hospital Discharge after Out of Hospital Cardiac Arrest - The importance of Automated External Defibrillator Availability. 2006. 7. Larsen MP, Eisenberg MS, Cummins RO, Hallstrom AP. Predicting survival from out-of-hospital cardiac arrest: a graphic model. Annals of emergency medicine. 1993;22(11):1652-8. 8. Colquhoun MC, Chamberlain DA, Newcombe RG, Harris R, Harris S, Peel K, et al. A national scheme for public access defibrillation in England and Wales: early results. Resuscitation. 2008;78(3):275-80. 9. Cummins RO, Ornato JP, Thies WH, Pepe PE. Improving survival from sudden cardiac arrest: the “chain of survival” concept. Circulation. 1991;83(5):1832-47. 10. Maron BJ, Haas TS, Doerer JJ, Thompson PD, Hodges JS. Comparison of US and Italian experiences with sudden cardiac deaths in young competitive athletes and implications for preparticipation screening strategies. The American journal of cardiology. 2009;104(2):276-80. 11. Koester MC. A Review of Sudden Cardiac Death in Young Athletes and Strategies for Preparticipation Cardiovascular Screening. Journal of athletic training. 2001;36(2):197-204. 12. Corrado D, Drezner J, Basso C, Pelliccia A, Thiene G. Strategies for the prevention of sudden cardiac death during sports. European journal of cardiovascular prevention and rehabilitation : official journal of the European Society of Cardiology, Working Groups on Epidemiology & Prevention and Cardiac Rehabilitation and Exercise Physiology. 2011;18(2):197-208. 13. Glynn L. EBLIP Critical Appraisal Checklist. Memorial University of newfoundland[updated]. 2006:Available from: http://www.goums.ac.ir/files/deputy_research/informing_52bc8/critical_appraisal_checklist.pdf. 14. Schober P, van Dehn FB, Bierens JJ, Loer SA, Schwarte LA. Public access defibrillation: time to access the public. Annals of emergency medicine. 2011;58(3):240-7. 15. Taniguchi T, Omi W, Inaba H. Attitudes toward automated external defibrillator use in Japan. Resuscitation. 2008;79(2):288-91. 16. Taniguchi T, Sato K, Kurita A, Noda T, Okajima M. Attitudes toward automated external defibrillator use in Japan in 2011. Journal of anesthesia. 2014;28(1):34-7. 17. Bogle B, Mehrotra S, Chiampas G, Aldeen AZ. Assessment of knowledge and attitudes regarding automated external defibrillators and cardiopulmonary resuscitation among American University students. Emergency medicine journal : EMJ. 2013;30(10):837-41. 18. Lubin J, Chung SS, Williams K. An assessment of public attitudes toward automated external defibrillators. Resuscitation. 2004;62(1):43-7. 19. Cronin O, Jordan J, Quigley F, Molloy MG. Prepared for sudden cardiac arrest? A cross-sectional study of automated external defibrillators in amateur sport. British journal of sports medicine. 2013;47(18):1171-4. 20. Christ M, van Bracht M, Prull MW, Trappe HJ. [Influences of medical education on first aid and AED knowledge among laypersons]. Deutsche medizinische Wochenschrift (1946). 2012;137(44):2251-5. 21. Caffrey SL, Willoughby PJ, Pepe PE, Becker LB. Public use of automated external defibrillators. New England Journal of Medicine. 2002;347(16):1242-7. 22. Hubble MW, Bachman M, Price R, Martin N, Huie D. Willingness of high school students to perform cardiopulmonary resuscitation and automated external defibrillation. Prehospital Emergency Care: Official Journal Of The National Association Of EMS Physicians And The National Association Of State EMS Directors. 2003;7(2):219-24. 23. Lester CA, Donnelly PD, Assar D. Lay CPR trainees: retraining, confidence and willingness to attempt resuscitation 4 years after training. Resuscitation. 2000;45(2):77-82. 24. Bobrow BJ, Vadeboncoeur TF, Spaite DW, Potts J, Denninghoff K, Chikani V, et al. The effectiveness of ultrabrief and brief educational videos for training lay responders in hands-only cardiopulmonary resuscitation: implications for the future of citizen cardiopulmonary resuscitation training. Circulation Cardiovascular quality and outcomes. 2011;4(2):220-6. 25. Kelley J, Richman PB, Ewy GA, Clark L, Bulloch B, Bobrow BJ. Eighth grade students become proficient at CPR and use of an AED following a condensed training programme. Resuscitation. 2006;71(2):229-36. 26. Lynch B, Einspruch EL, Nichol G, Becker LB, Aufderheide TP, Idris A. Effectiveness of a 30-min CPR self-instruction program for lay responders: a controlled randomized study. Resuscitation. 2005;67(1):31-43. 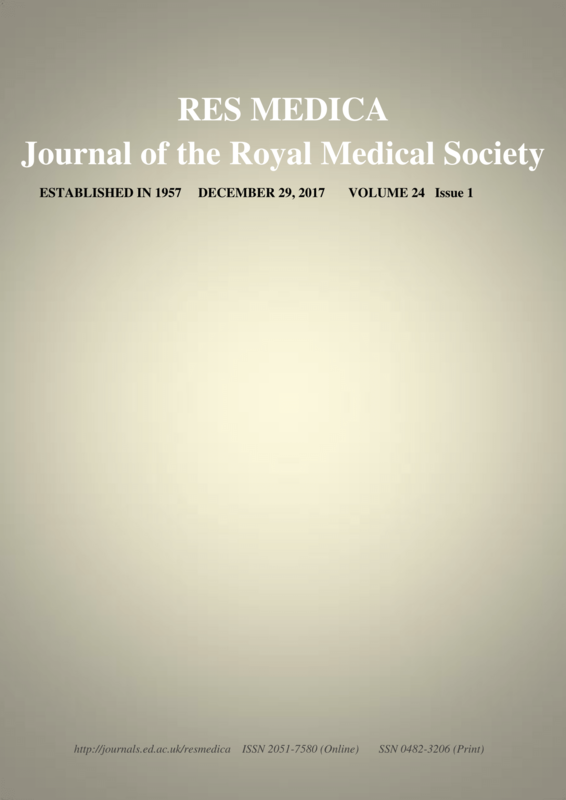 Res Medica is an Open Access journal. All material is licensed under a Creative Commons Attribution 4.0 International (CC BY 4.0) licence, unless otherwise stated.